Joyce H. Newman is an environmental journalist and holds a Certificate in Horticulture from The New York Botanical Garden. 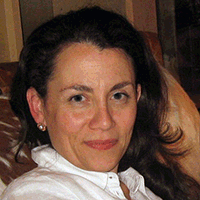 She is the former editor of Consumer Reports GreenerChoices.org and a blogger for several home and garden publications. 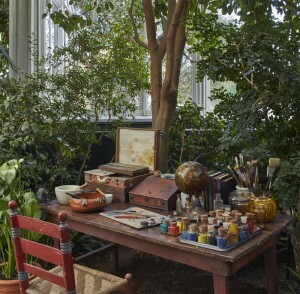 An evocation of Kahlo’s studio in the Haupt Conservatory. Many of us got our first glimpse of Mexican artist Frida Kahlo’s life with the award-winning 2002 biopic starring Salma Hayek and directed by Julie Taymor, of Lion King fame. But the Frida now on view at The New York Botanical Garden’s exhibition, FRIDA KAHLO: Art, Garden, Life, is a totally different person from the film version. The new exhibition is the first to “re-imagine” Kahlo’s garden and to explore her appreciation of nature—including the many plants, insects, and fascinating animal imagery in her paintings. Frida Kahlo adored the garden at her home, the Casa Azul (Blue House), in Coyoacán, Mexico. Her painting studio directly overlooked the garden with its cobalt blue walls and fabulous collection of native Mexican plants. The garden was both an inspiration and a private haven during Kahlo’s personal battles with chronic illnesses and disabilities. Kahlo studied and was well aware of the symbolic and historical meanings of Mexico’s native plants, as well as their chemical and therapeutic properties. Certain plants in her still life paintings are clearly identifiable—plants like dragon fruit, prickly pear, cherimoya, sapodilla, and mamey sapote. According to Dr. Zavala, Kahlo’s earlier works are more surrealistic and feature red angel’s trumpet, prickly pear, fuchsia, poinsettia, philodendron, and marigold. Angel’s trumpet has narcotic properties; prickly pear is part of the Mexican national emblem, originating in the Aztec glyph for their capital city Tenochtitlan. Marigolds are associated with Día de los Muertos, or Day of the Dead, a Mexican holiday celebrated on November 1. Fourteen of Kahlo’s paintings and works on paper—many borrowed from private collections—are now on view for the length of the exhibition, showing the range of her work. 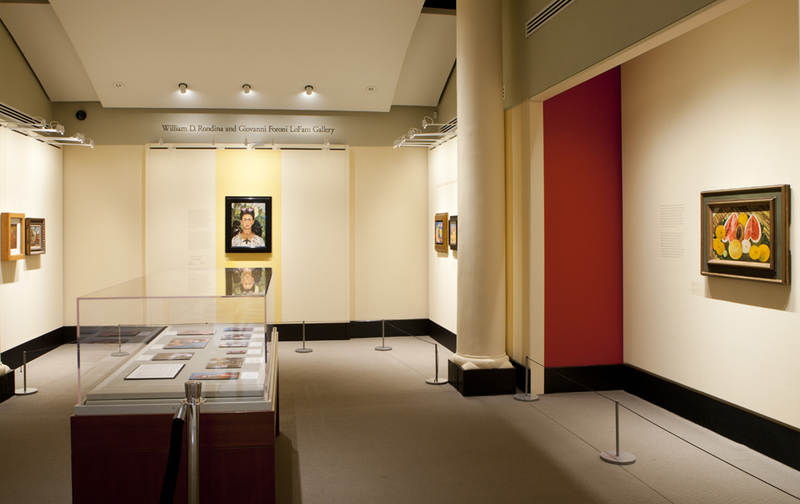 Frida Kahlo in the Mertz Library’s Art Gallery. One of her more surprising sketches and paintings is the early Portrait of Luther Burbank (1931) that depicts the American horticulturist Luther Burbank, known for his experiments in grafting and hybridization, often with native Mexican plants. Burbank’s work seems to have impressed Kahlo who presents him as a man/tree with wonderful spreading roots, his arms holding a vine and his body flanked by fruit trees. Burbank’s ideas must have struck a chord with Kahlo who, until her death in 1954, proudly maintained her native Mexican garden, which became a famous gathering place for artists, Mexican and international intellectuals, and her own students. This must be one of your most marvelous ideas for a show! I have long admired the background plants in F.K. 's paintings. Each summer, we host a big party for friends at the Buffalo River (here in Arkansas) and I 'stole an idea' of her's for handing out prizes for our party-contests. F.K. did a painting of sliced watermelon with Diego and her name spelled out in the seeds. I did the same thing spelling the answers to questions or the punchline to a joke, etc.. It has become a tradition - and it came from her delight with nature in her art.